In July 2018, Amit Samarth is scheduled to attempt the 9100 kilometer-long Red Bull Trans-Siberian Extreme in Russia. 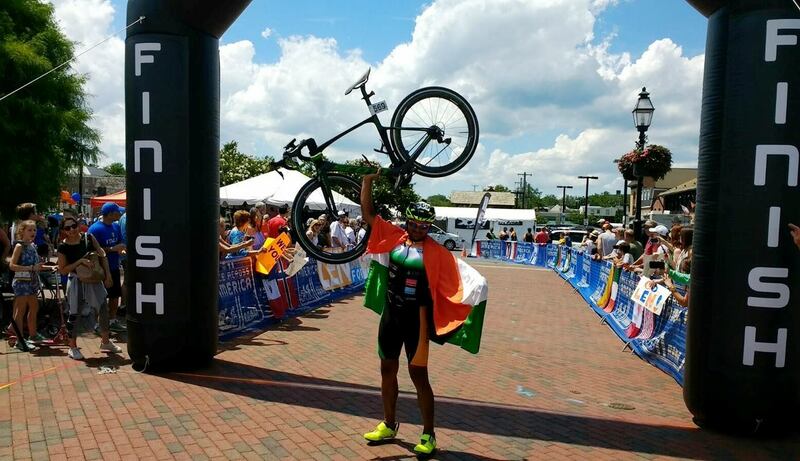 Last year (2017), he was the second Indian cyclist to complete Race Across America (RAAM) in the solo category and the first Indian to do so in the very first attempt. He is also an accomplished triathlete and runner. This is his story; the story of an unusual doctor. Late night, the highway from Nagpur to Raipur lay bathed in darkness save the odd street light and the headlights of passing vehicles. Indicators flashing on the car’s dashboard showed that the vehicle’s hazard lights were on. Soft music played on the car’s speakers. None listened to it. Besides its four occupants, the car carried a crate of bottled water and energy drinks. On the door accessing the boot of the car, was an empty bicycle rack. The two wheels on carbon frame it held till some time back, was now object in motion some 15 feet in front of the car. Settled into a steady, smooth cadence, the cyclist sat crouched on the road bike, his arms on the bike’s aero-bars for aerodynamic efficiency. At the car’s steering wheel, Makarand maintained steady speed. He had been told to stay adequately away from the bicycle for cyclist’s safety and yet be near enough to illuminate the road ahead for him. A ten kilometer-loop past the highway’s toll plaza was the cyclist’s training ground for that night. The car’s speedometer rarely dipped below 40 kilometers per hour; on occasion it seemed to touch fifty. Sixty kilometers covered so, cyclist and crew were back home by midnight. The late night training was essential because early next morning Dr Amit Samarth – endurance athlete and 2017 finisher at Race Across America (RAAM) – had a flight to catch, to Delhi. There was a meeting due in the national capital with a potential sponsor and no guarantee that he would be able to train that day. The countdown to the 2018 edition of Red Bull Trans-Siberian Extreme was well underway and only three weeks remained for Amit’s departure to Russia for the 9100 kilometer-race. Amit is a doctor. His trajectory in life and medicine don’t match paths usually chosen by Indian doctors. Born 1980, Amit grew up in Nagpur. His father, now retired, worked with Syndicate Bank. His mother worked as a school teacher, was school principal, ran a department store and now manages a gym on the first floor of their house, which caters exclusively to women. A few attributes qualified Amit’s school years – he played games but wasn’t seriously into sports; he was chubby and fat to the point of being mocked, he was a good student. His academic scores at the time of exiting school were high enough for admission to medical college. The first turning point was the period between finishing school education and moving to medical college. He joined a gym to reduce weight. Within a month, he discovered that he liked to pump iron. Soon after he became a medical student, he started applying whatever he learnt, to his body and his eating habits. From almost 98 kilos, he transformed to being lean, muscular body builder. So much so, that people recommended he go for body building competitions; he was once Vidarbh Sri, a local title won in body building. The next turning point – in retrospect – would seem the period following medical studies. After completing his MBBS, Amit worked as Medical Officer at the P.D. Hinduja Hospital in Mumbai and Max Health Care in Delhi. Then he got a chance to work with PricewaterhouseCoopers (PWC) as part of their health care consulting group. He shifted to Hyderabad. By now he was no more body builder; he was however “ fitness-conscious.’’ Work with PWC took him to Assam and Dhaka; at the latter, he was attached to the International Centre for Diarrhoeal Disease Research, Bangladesh (ICDDRB). This line of work in public health and community medicine captured his interest. It also took him away from the Indian mainstream as regards career choices within the medical profession. Amit proceeded to Johns Hopkins in Baltimore, US to do a one year program specializing in public health. Upon completing the course at Johns Hopkins, he returned to India. “ I like Nagpur and India. This is where all my friends are. This is my ecosystem. So I returned,’’ he said. His parents, who had taken pride in his academic performance, his well-paying jobs after MBBS and eventual passage to the US for higher studies, were disappointed by that return to India. Amit found himself back in Hyderabad, this time working with Access Health International. A couple of factors intervened to change the course of his life. He started learning taekwondo, going on to become a black belt in the martial art. His trainer was Mohammad Malik. Malik introduced Amit to running. Slowly, he progressed from 10 kilometer-runs to running the half marathon. Following podium finish at a local half marathon, he shifted to running the full. Among people he met at Hyderabad Runners Group was Sunil Menon, currently a well-known coach for triathlon, including Ironman events. At that time Sunil was yet to attempt an Ironman. Sunil’s interest in the triathlon rubbed off on Amit. He decided to attempt a Half Ironman. As luck would have it, Access Health had its office in the campus of Indian School of Business (ISB). It was home to a nice swimming pool. Amit began learning to swim; he also started to perfect his cycling. “ So if you look at it closely, I am not that old as a cyclist. Probably six to seven years – that’s all,’’ the RAAM finisher said. Both Amit and Sunil had registered for the 2011 edition of the Half Ironman in Sri Lanka. Unfortunately Amit fell ill. But he went to Sri Lanka and cheered Sunil, who completed his first Ironman event. Amit’s graduation to that league happened six to seven months later at the Half Ironman in Phuket, Thailand. This chapter of running and triathlon is important when it comes to profiling Amit. The world knows him as a cyclist. But to date, he has run over 100 half marathons and completed eight full marathons, 11 Half Ironman events (at the time of writing he led Indians in points accumulated from Half Ironman events) and one full Ironman. His best timing in the full marathon was at one of the editions of the Mumbai Marathon – 3:19. His best timing so far in the Half Ironman is 5:28. The lone full Ironman he participated in – in Busselton, Australia (the event is called Ironman Western Australia) – he completed it in 11:50. From Access Health, Amit shifted to Sugha Vazhu, a not for profit company that aims to improve health conditions in India by developing and delivering primary healthcare solutions in collaboration with its knowledge partner, IKP Centre for Technologies in Public Health (ICTPH). Amit shifted to Thanjavur in Tamil Nadu for this work. He continued his running and training for the triathlon here. It was during his tenure at Thanjavur that the organization he founded (his friend Anirudh Pandya helped him) and is now identified with in Nagpur – Pro Health Foundation – had its genesis. Pro Health has four goals – it organizes sports events; identifies talent, creates sports infrastructure and promotes healthy lifestyle. Amit became one of the founder organizers of the Thanjavur Marathon. Amit has good memories of Thanjavur. In 2014, he left Sugha Vazhu and joined Save a Mother Foundation as its Chief Operating Officer. His work was mostly in Hubli (north Karnataka) and Telangana. Among those he met in Hubli was Vivitt Walve, an engineer who did his higher studies in the US. Vivitt is passionate about cycling. An early morning in Hubli, he was on a hill road teaching his friend to drive, when he saw Amit training. A fortnight later, Amit visited the shop Vivitt had in town, to procure a bicycle tube. They got talking. Prone to initiating sports activities wherever he is, Amit commenced Hubli Fitness Club. “ Amit was mentor. There were 13-14 of us involved,’’ Vivitt recalled. In those days of Hubli and Save a Mother Foundation, Amit the ultra-cyclist was yet to be. Work with Save a Mother Foundation entailed much traveling. Amit didn’t like losing his personal time. He also wished for adequate time on hand to train. In the meantime, with Amit too busy at work, Pro Health went into hibernation. The doctor feared that his life in sports had died prematurely. All this led to his decision to leave Save a Mother Foundation. He shifted back to Nagpur and started organizing marathons. The events were held under the banner of Pro Health Foundation. He also commenced coaching, including coaching for Ironman. He was Nagpur’s odd doctor. His batch-mates in medicine were into successful careers, some of them running their own clinics and hospitals. Amit was coaching for sports and organizing running events. He maintained no medical practice. At his home, aside from the board announcing Pro Health Foundation, you don’t find any board mentioning doctor within. The universe works in surprising ways. Of all the things he had done till then, one event he participated in sparked a streak. Earlier during a visit home from work in Hubli, Amit had heard of a 200 kilometer-brevet being organized in Nagpur. “ I remember him coming home excited and telling us about this,’’ Mukul, Amit’s wife, said. Amit registered for the event. Part of cycling’s sub culture called randonneuring, brevets are non-competitive. But participation in these bicycle-rides spanning distances from 200 kilometers to over 1000 kilometers is part of the journey to becoming an ultramarathon cyclist. When the said brevet in Nagpur happened, Amit finished it way ahead of others. “ I went to pick him up at the finish line and found him standing there quite confused because there wasn’t anyone else around,’’ Mukul said. That finish was noted in Nagpur’s cycling community. Suggestions emerged that he try bigger distances and according to Amit, as is typical of small communities suddenly confronting visibly different athletic performance, the suggestions were laced with challenge. 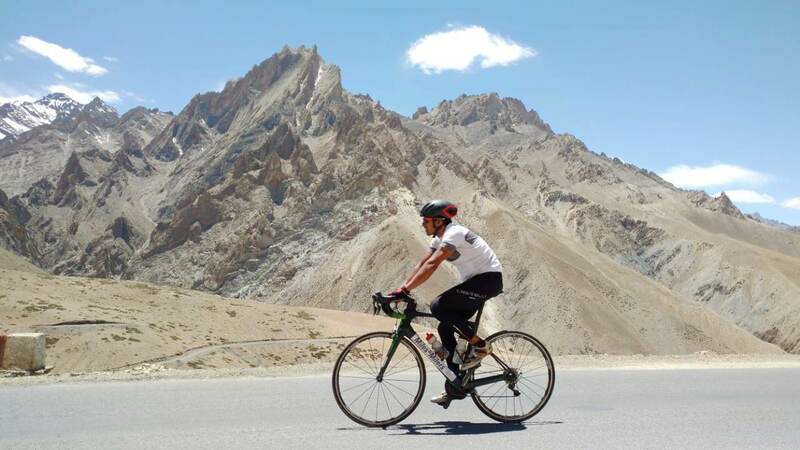 Without Amit’s knowledge, his friend Sachin Paliwar registered him for the 2015 Deccan Cliffhanger, a race in India that is also qualifier for RAAM. Deccan Cliffhanger is an annual 400 mile (643 kilometers) ultra-cycling race from Pune to Goa. Prior to it, Amit had done only the 200 kilometer-brevet. Nagpur based-cyclist Devnath (Dev) Pillai has known Amit since 2015. “ I don’t think at that point in time, Amit considered himself an endurance cyclist in the strict sense of the term. But if you challenge the wrong guy, he will end up doing it,’’ Dev said. 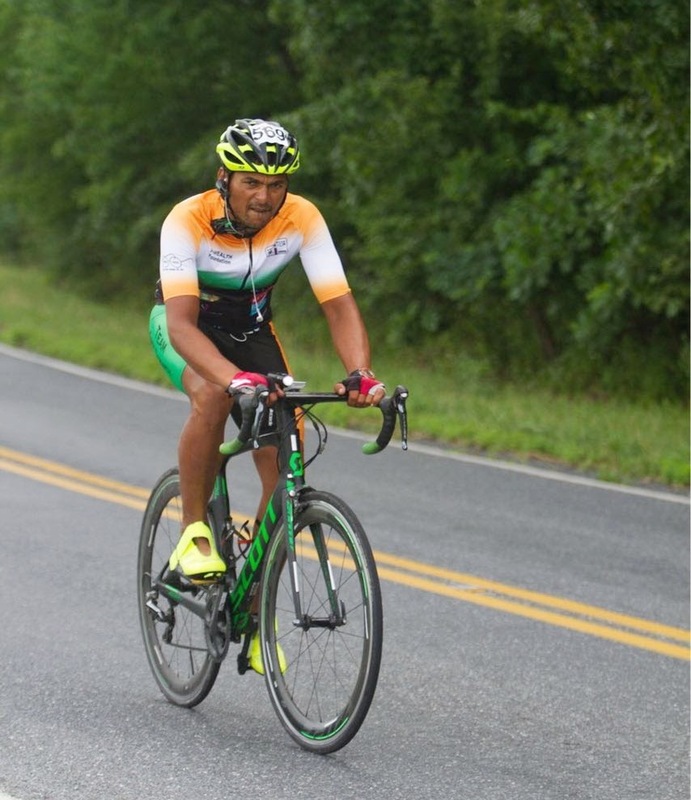 Amit completed the 2015 Deccan Cliffhanger successfully qualifying for RAAM in the process. But he still did not take RAAM seriously for his research showed that the event was expensive. He put RAAM in the freezer and continued to take part in brevets. “ There was this 1000 kilometer-brevet from Delhi to Wagah border and back. I did that in decent time. Following this, people began to say that I may be RAAM material,’’ Amit said. 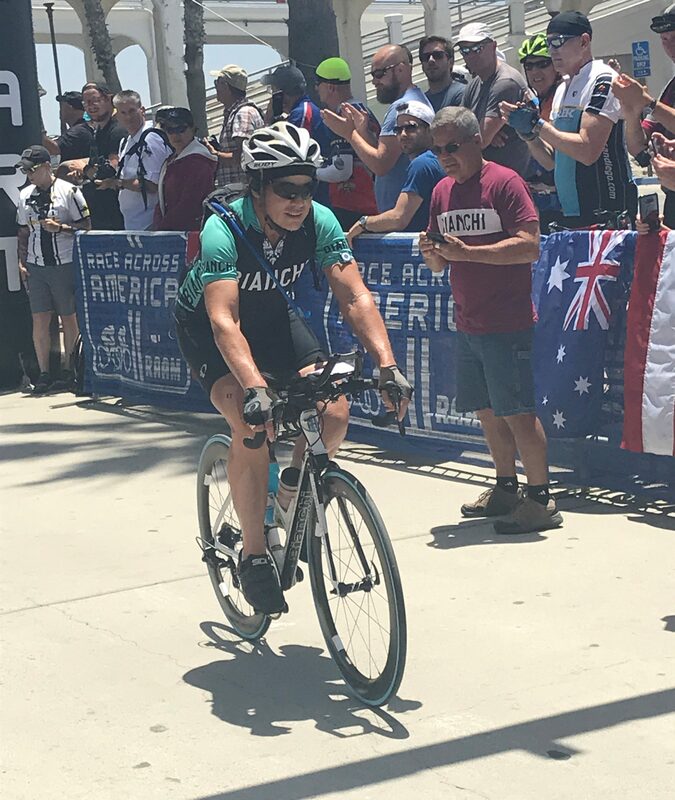 While researching RAAM on the Internet, he had connected with Australian cyclist, Steven Bervering. Steven recommended a book on RAAM. He also suggested that Amit crew at RAAM to know the race better; it was something Amit’s friends in Nagpur too had been telling him to do. Amit wrote to veteran US cyclist, Seana Hogan, asking if he could be part of her crew for 2016 RAAM. Seana is a legend at RAAM. Now in her late fifties, she is a six time-winner of the race in the solo women’s category and has also held the fastest time among women. Seana accepted Amit’s request to be part of her crew. He and Vivitt flew to the US for the purpose. Being part of Seana’s support crew was valuable experience. “ At RAAM you can expect the unexpected. Patience is a very important quality to have. You lose patience, your whole game goes for a toss,’’ Vivitt said. Besides getting a taste of real crewing with ringside view of how RAAM progresses, the duo also obtained insight on commercial aspects. For instance, they realized that despite her several years at RAAM, Seana too used the year preceding a race to assemble sponsors and funding. Family was part of her crew. “Seana helped by showing us what we needed to learn for participation at 2017 RAAM,’’ Vivitt said. Bhanu Rajagopalan runs an advertising agency in Nagpur. The first time he met Amit was when Anirudh Raich, who runs a bicycle shop, came to meet him along with the doctor organizing a marathon in the city. “ Amit had just returned from Hubli and he was organizing this run for which he needed help in marketing,’’ Bhanu recalled. He quickly sensed that Amit had extraordinary capability; there were all those half marathons, marathons and Half Ironman events he had been to. Amit told Bhanu that the fee he was charging for his marketing services was high. “ I told him to forget the money and agreed to take up the work,’’ Bhanu said. He remembers telling Amit to think big (that’s something Amit corroborates; according to him, Bhanu told him that if he wanted to do big things in life, then he should become a brand to reckon with, himself). According to Bhanu, he decided to support Amit till the 2017 RAAM got over. Bhanu discussed Amit’s case with Jeetendra Nayak, an industrialist from Nagpur. Jeetendra is chairman and managing director of Minar Hydrosystems, a company having its core strength in hydraulic cylinder technology. “ Jeetu Nayak, besides being industrialist is an aggregator of philanthropists. If you give him a cause, he will give you his time. Plus he brings to the table other people wishing to contribute to the cause,’’ Bhanu said. Among those who supported so were Dinesh Rathi of DRA Consultants Ltd and Prashant Ugemuge of Vidarbha Infotech Pvt Ltd. 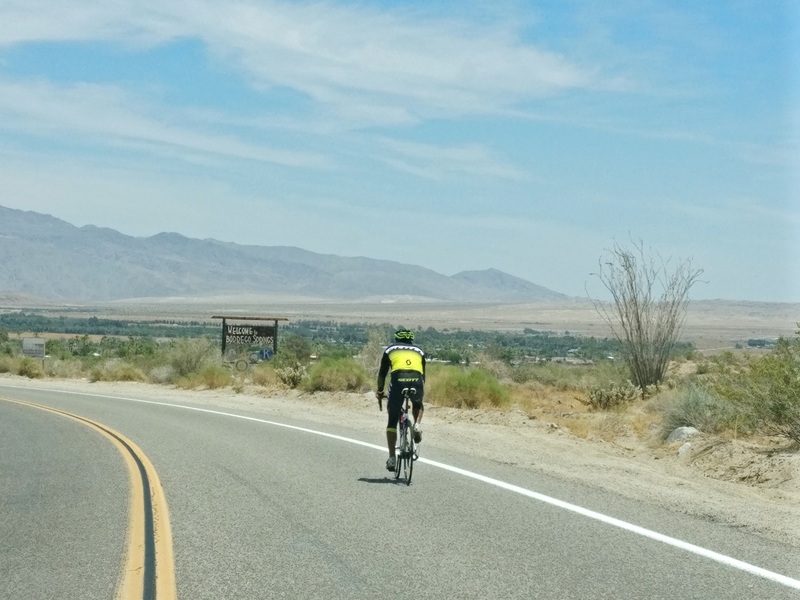 Although Amit had continued long distance cycling after his RAAM qualifier, there is a big gap between brevets in India and RAAM, which spans roughly 4800 kilometers and takes rider across varying terrain and weather conditions in the US. Some of those assembling to fund Amit for RAAM wanted to be convinced he was up for the challenge. “ In 2013 a few of us had come together to do a fund raiser for the new hospital Dr Prakash Amte wished to build. So we had a group of like-minded people in place. Bhanu introduced Amit to us. The first thing we noticed was his humility. But we didn’t know his capability. We therefore put forth a challenge requiring him to attempt a course half the length of RAAM in India,’’ Jeetendra said. . In September 2016, Amit cycled Nagpur-Hyderabad-Bengaluru-Hubli-Kolhapur-Pune-Aurangabad-Nagpur. The aggregate distance was roughly 2500 kilometers; Amit completed it in five days, five hours. He did that on a Trek 1.1, his first road bike, one he still owns. “ For me, this ride was the turning point; over those five days he slept for only about eight hours,’’ Jeetendra said. Then, even as he proved to his supporters that he had what it takes to attempt RAAM, Amit slipped into self-doubt. One of the learnings Amit brought back from RAAM 2016 was how taxing and monotonous the event can be on cyclist’s support crew. They may not be on the saddle but they share a lot of the strain. Once it starts, RAAM runs at one stretch. It is up to cyclists and their crew to decide how much they should rest within the overall cut off time. Crew members end up as sleep deprived as cyclist. Driving a car is fun when the vehicle is allowed its natural speed. Tailing a cyclist as support vehicle requires car to be driven slowly; imagine doing that for 4800 kilometers. Amit realized that these situations and the celebration of solitude endurance races generally are can be particularly trying on Indians who are accustomed to active community life. Hiring crew locally in the US costs money. Further, the crew needs to be composed of people who know him well. So Amit envisioned crew from India working in an ambiance they are used to. Mukul would be part of it, as would be Vijaya Samarth, his mother. Vivitt, who had crewed with Amit at RAAM 2016, would be crew chief. “ The race will take a toll on me. If the crew also becomes serious and boring, what’s the fun? I wanted a crew that would both work and be happy,’’ Amit said. Two months before RAAM, Amit and Mukul moved to the US. For the most part, he trained in Boulder, Colorado. Then a problem arose. Dev and Chetan Thatte, who knew cycles and cycling well and were to be part of the crew, saw their application for visa rejected. It impacted the technical expertise resident in the crew. “ In India, Amit was being crewed by Chetan. He is a person who is willing to do anything,’’ Vivitt explained. The sudden unavailability of Dev and Chetan meant a search for new hands. Jeetendra summed up the situation. 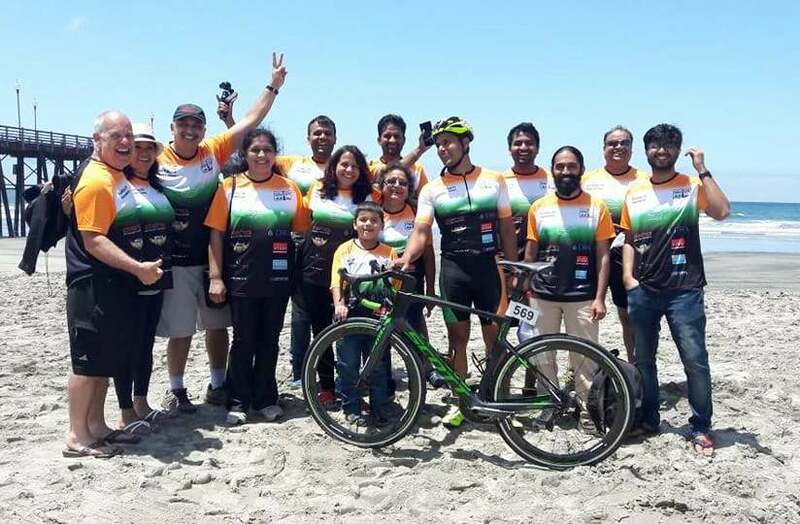 “ My wife and I had planned to go the US to see RAAM and cheer Amit. But when visas were denied for some of the original crew members, we stepped in to crew. Further, Amit asked me to be involved because he wanted a senior person who can help keep the crew together. If by some chance, the crew splits, then it impacts rider’s morale and efficiency,’’ Jeetendra said. Word was spread about the need for hands. Vivitt who had studied and cycled in the US worked his network. Two Indian students in the US responded to his call – Rushabh Ingle and Devesh Thakker. For some of those enrolled as crew it was a case of coming for a few days and then returning. So, one car from the three support vehicles that the team had was also used for trips to the nearest airport and back, ferrying volunteers. In all, the crew included Mukul, Vijaya, Renuka Nayak, Jeetendra Nayak, Vivitt, Suruchi, Sachin Paliwar, Sachin Kuthe, Ravi Nayak, Doug Dunton, Mridula Kini Dunton, Lalit, Devesh, Rushabh, Krish Srikant, Anand Supner, Anurag Kulkarni, Bhanu, Nikhil Chauhan and Dinesh Rathi. Mukul reckons that about ten of them stayed all through. Also in the team was Amit’s son, Ayan. It was as Indian an ambiance as Amit would have wished. Vijaya’s emergent role in Amit’s cycling ecosystem was visible at Nagpur, the night of June 19, 2018, when Amit was leaving to train on the highway to Raipur. 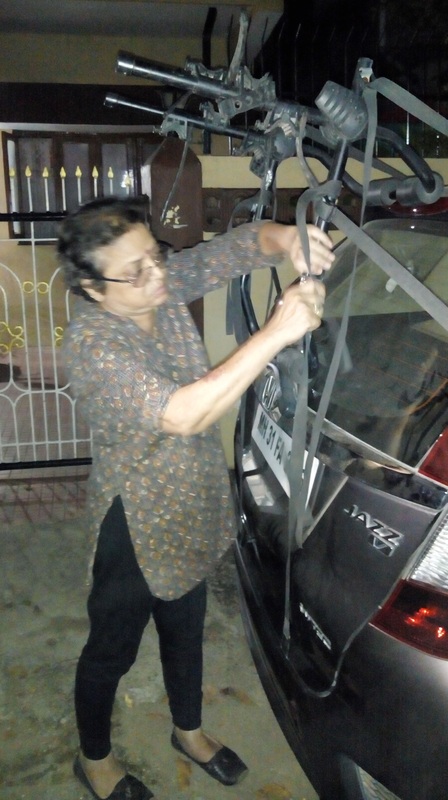 A proactive person, it was she who fitted the bike carrier on Makarand’s car and handed over first aid kit and carton of water. She was still awake at midnight, ready with dinner when cyclist got back home from training. Back at 2017 RAAM, Vijaya and Renuka anchored the team’s kitchen, in many ways the heart of any Indian operation. They were stationed in the big recreational vehicle (RV) at the very rear of the support column, the food they made ensuring everyone had a taste of home cuisine amid all the stress and strain. “ Ours was the happiest team at RAAM,’’ Vijaya said. In the middle of the relatively scattered column was the vehicle which shuttled between lead car and van, passing supplies and also running errands like those airport visits. The lead vehicle loyally tailed cyclist. Mukul stayed in the lead car. Two groups were detailed to work shifts in that vehicle; she was part of one. They stayed in constant touch with Amit on the cycle using a communication system, conversing with him and playing songs to keep him awake. “ There will be occasional friction between cyclist and support crew and between members of the support crew. But we worked to make sure that none of the stress we felt reached Amit. The mission was to ensure that he reaches the finish line in time. To the crew’s credit, we didn’t pick up a single penalty,’’ Mukul said. Violation of race rules by crew members can result in penalties including time-penalty that sees riders being held back or delayed. Things go wrong despite best intentions. Thanks to his training at Boulder, which is at an elevation of 5400 feet, Amit cleared Wolf Creek Pass (10,857 feet) in the early part of RAAM, quite well. But in hot Arizona, he struggled. A resident of Nagpur and its punishing summer, Amit can handle heat. Bhanu recalled Amit cycling from Nagpur to Hyderabad and back in the scorching summer of Central India. However at RAAM 2017, a brief mismanagement of the distance between support vehicles and cyclist ensured that he didn’t have access to more water when he needed it. Result – he got dehydrated in Arizona. “ Arizona is warm. What makes it tough is that the rocky terrain reflects light and heat,’’ Mukul said. Amit’s dehydration progressed to fever. It slowed him down considerably. His condition improved as he got to Kansas but new challenges cropped up in the form of weather conditions. Good fortune returned at the race’s final climb up and over the Appalachian Mountains of West Virginia (the section is called Four Sisters), a challenge confronting exhausted riders towards the concluding portions of RAAM. To thank herein was Sachin Kuthe, a senior official with BMW in the US, who readily agreed to help when his friend, Bhanu, mentioned Amit’s bid to complete 2017 RAAM. Sachin had the foresight to get Amit over from Colorado and train on the West Virginia section of the RAAM route. Impressed by how Amit fared, Sachin had then convened a meeting of the crew and spread the message that Amit would succeed if the crew got its act together. Now, tired from the few thousands of kilometers he had cycled and recovered from recent fever, Amit repeated those Appalachian gradients smoothly. At Annapolis, he became the second Indian to complete RAAM solo, after Lt Col Srinivas Gokulnath. Amit finished the race in 11 days, 21 hours. 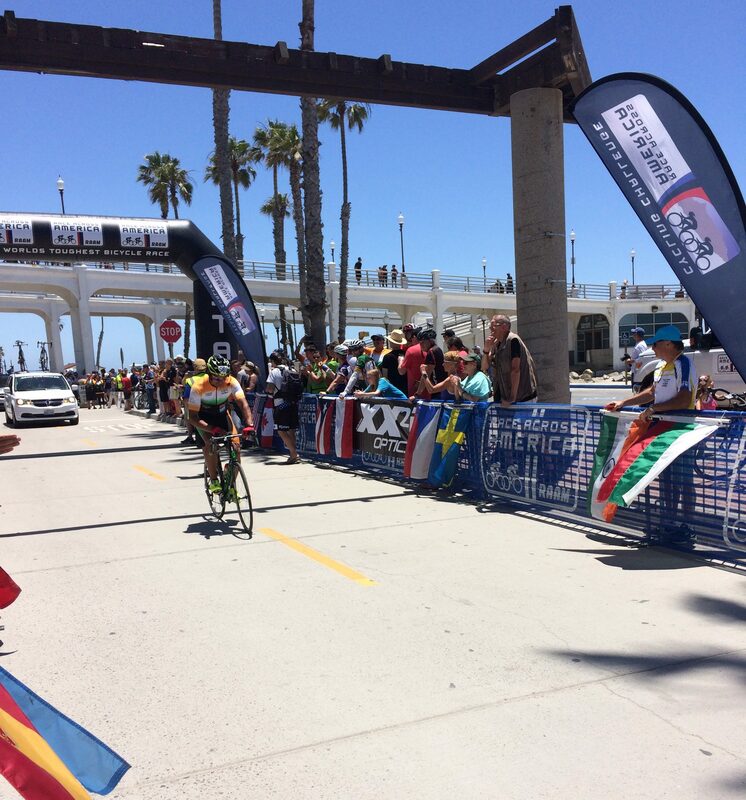 Importantly, he was the first Indian to finish RAAM in the first attempt. “ There is not a day I don’t think of RAAM. It is special for me,’’ Amit said. At the airport, ahead of boarding the flight back to India, the airline he had booked with insisted on a heavy fee for excess baggage. Amit was short of money. “ They told me that if I don’t have enough money, I should leave my bicycles behind,’’ he said. Eventually friends in the US pitched in and helped raise the required money at short notice. June 2018, exactly a year after 2017 RAAM, he was weeks away from a whole new adventure. At 9100 kilometers, Trans-Siberian Extreme is almost double the distance of RAAM. 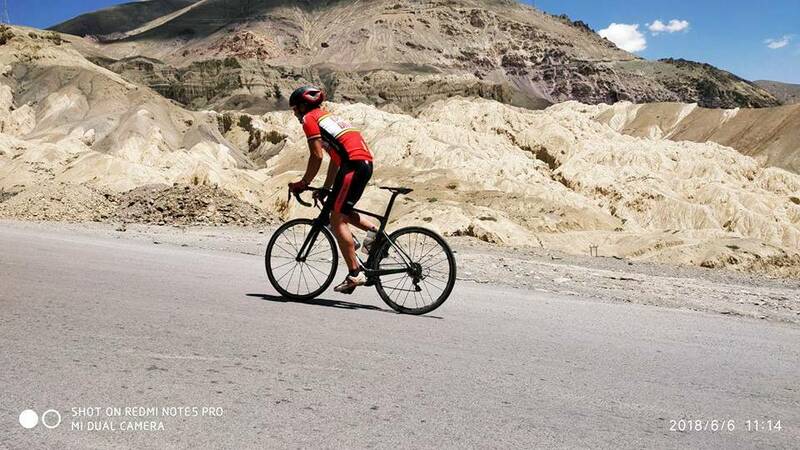 “ Everything that is going to unfold beyond 5000 kilometers on the saddle is uncharted territory for me,’’ Amit said. There are differences between RAAM and Trans-Siberian Extreme in how they are organized. In the latter, there are only about a dozen participants in 2018. Every cyclist’s track record in ultramarathon cycling is checked before acceptance. Upon paying the registration fee, Amit was told to report in Moscow with bicycles and just one person for support crew. As before, keeping the Indian nature in mind, he has decided to take two – Dev and Chetan. Everything else from food to support vehicle, drivers, bicycle spare parts, technicians – it is all being provided by the organizers. Unlike RAAM, the 9100 kilometer-long Trans-Siberian Extreme is a stage race with cut-offs for every stage. There is also a rest day in between. The race begins on July 24 and ends on August 17. On Amit’s side, two similarities prevail across RAAM and Trans-Siberian Extreme. According to Vijaya, at the time of RAAM, she had told Amit that he should give it his all. Finish it and come back; else, don’t – that was her attitude. “ I have told him the same for Trans-Siberian Extreme,’’ she said. The other similarity, carried over from RAAM is – search for funds. Trans-Siberian Extreme costs much less than RAAM but it still costs and that money requires to be raised. 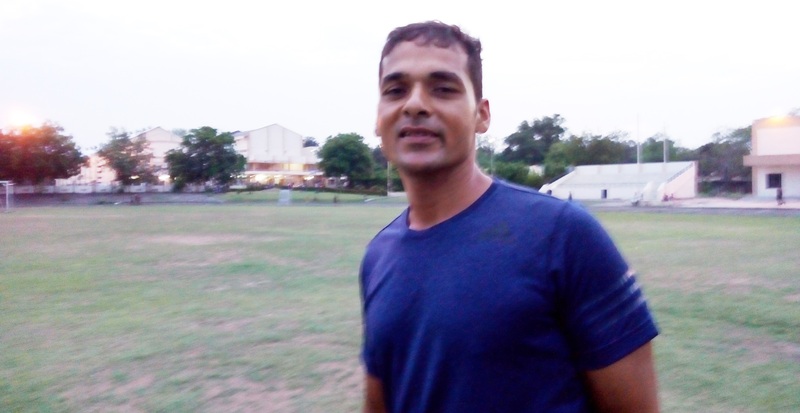 June 19 evening, on the way to Nagpur University’s sports complex where coaches from Pro Health train amateur athletes, Amit said, “ I wish I had long term sponsors. Then I can focus on training.’’ For now, he said, he looks beyond funding and focuses on project. “ Focus on what lay beyond the challenges. You need guts to attempt these races. Funds will follow. It is all about how badly you want it,’’ he wrote in later. According to him, even at RAAM, aside from maybe elite athletes who have sponsors, most others are supported by their communities and have their struggles with funding. A leading business conglomerate headquartered in Mumbai has provided a third of the funds needed for Trans-Siberian Extreme on condition that if Amit doesn’t piece together the balance, then their money must be returned. Nagpur based-Plasto Group of Companies has also contributed. 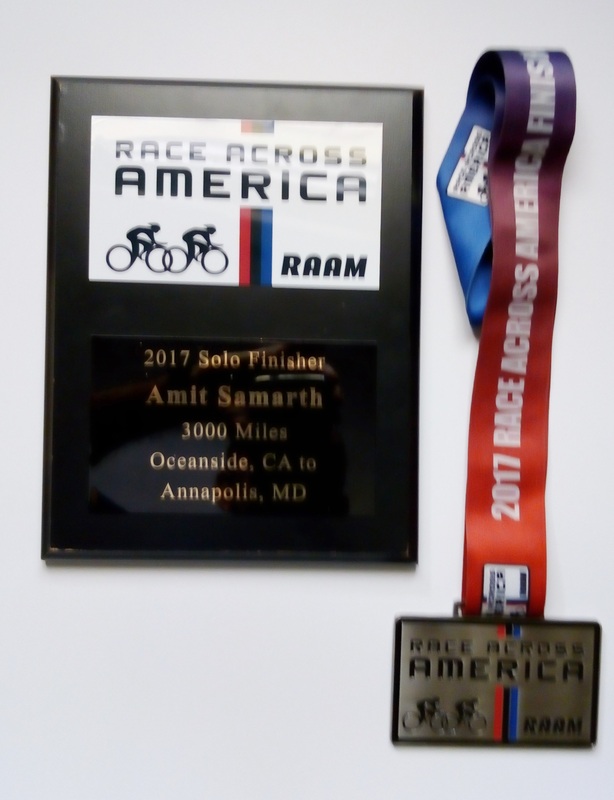 Despite completing RAAM, Amit does not consider himself, a cyclist. He sees himself as an endurance athlete. In his matrix of assessment, the triathlon tops as endurance sport. Post Trans-Siberian Extreme one of the things he would like to do is – improve his timing in the full Ironman; bring it to below 10 hours. He would like to improve his timing at RAAM (as many RAAM cyclists do) provided sponsors step in to support repeated RAAM attempts. Amit also wants to contribute to society. He currently trains over 150 amateur athletes of all ages under Pro Health. From their ranks have emerged good finishers at several domestic races (including positions on the podium) and the first Comrades finishers from Nagpur. Then, there is the city. While it is true that the nearest hills are some distance away, Nagpur is flat and hot enough to prep for endurance oriented distance running and cycling, even swimming; Amit’s trainees use one of the local lakes for open water swimming. Organizing a triathlon in Nagpur is on Amit’s radar. He also wants Pro Health to work more and more at the grass roots level. 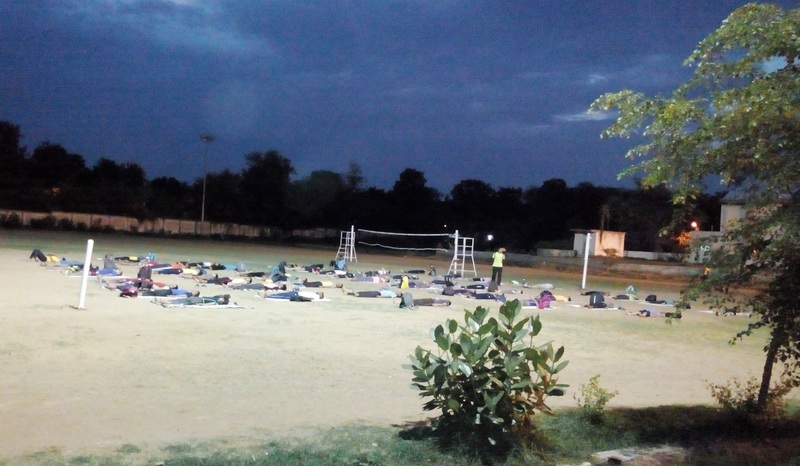 There is a training engagement in sports with youngsters from tribal communities, going on at Hemalkasa. “ I don’t want to add scale. I would rather add depth,’’ Amit said. At the apex of all these plans is a training academy for athletes. Both Bhanu and Jeetendra Nayak said they now wish to see Amit graduate to a sustainably funded model as regards his races; maybe a combination of corporate support and crowdfunding. According to Jeetendra, he continues to stay engaged with Pro Health Foundation in the Hemalkasa program. He helps fund it. Bhanu believes a person like Amit with his mix of training in medicine, specialization in public health, work at Pro Health Foundation and capability for endurance sport should ideally be supported by government. But then in the run up to RAAM and finding funds for it, the sports ministry informed it had no schemes under which Amit could be helped. That was a major disappointment. It is tempting to imagine that the work Pro Health is doing falls in the realm of public health, which Amit specialized in. Unfortunately that is not how the healthcare industry is structured. Within its fold, fitness and sport were traditionally categorized under physical medicine. In more recent times, as an extension of the same, specialists in sports medicine have emerged. When contacted, the CEO of a large hospital chain pointed out that probably where the likes of Amit – combining medical background, public health, fitness and endurance sport – click, is in policy making.